I've always wished that I was a teen or young adult during the 90s. Looking back at some of my favourite shows and songs, I somehow feel growing up at that time would have been so cool. Having spent my 90s as a child, I was underexposed to lots of cool 90s stuff but at least I got into a lot of the shows and songs. 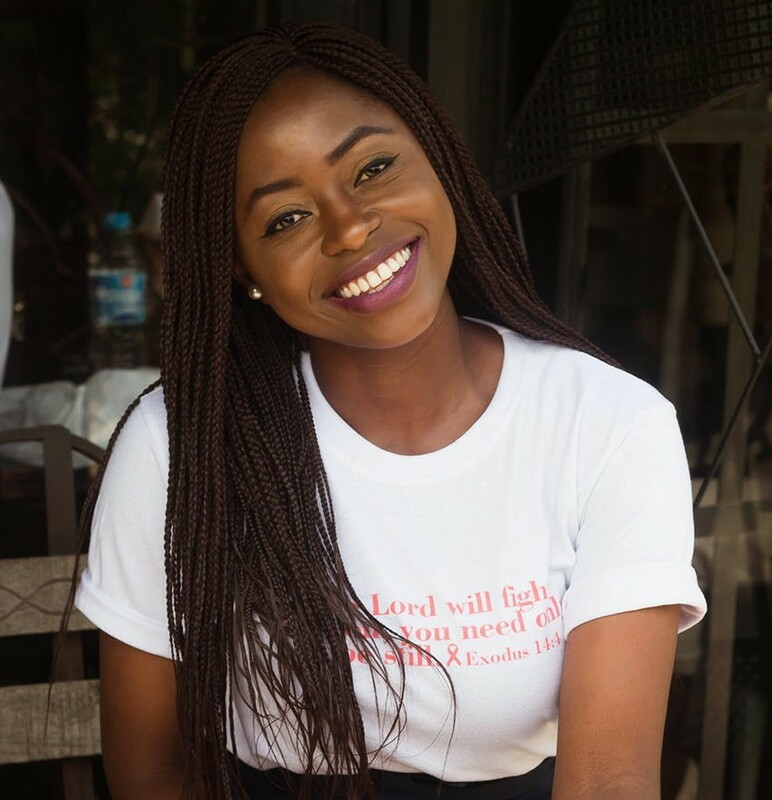 Now growing up, we watched 90s sitcoms like Moesha (Brandy was such a role model serving us braids inspiration back to back), Family Matters (Steve Urkel was such a classic character), The Fresh Prince of Bel Air, Saved by the Bell, Sabrina the Teenage Witch, Mary Kate and Ashley and Friends. What happened to shows that made us laugh while still teaching us moral values, I miss those days. Funny enough for some reason, I never watched the Cosby Show, however when I was much older, I delved into old school music and shows. I adore shows like Martin, A different World, My Wife and Kids, Girlfriends, Sister Sister, among others; they are too many to list. So you see why I feel the 90's should have been my time? Moving to trends, 90's fashion trends like mom jeans, knit wear crops tops, block heels, chokers and dark lipsticks inspired today's outfit. And the whole time this shoot was going on I kept singing the 90's classic, That Boy Is Mine by Brandy and Monica. In the spirit of old school fashion trends can we talk style icons too? Whitely Gilbert from A Different World has to by my all-time favourite; this look here was actually inspired by her. And Hilary Banks from Fresh Prince gave style inspiration for the corporate chic. Till this day each time I watch old school shows, I look out for their fashion trends and I'm always inspired. And how can I forget Rachel Berry from friends. 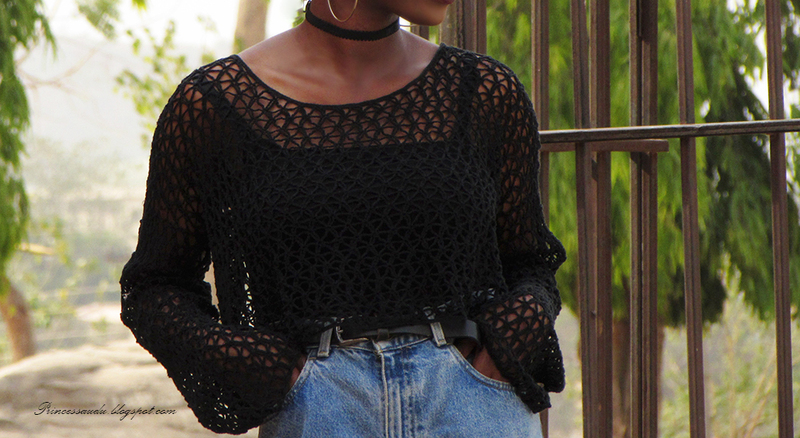 So today's look features a sheer knitwear crop top and mom jeans previously styled here. I added my DIY choker from here and here, remember our secret (wink, wink)? How would you style this look differently, how do you like to style mom jeans? What were your favourite 90 shows, style icons and fashion trends? Where would you rock this look to? Right that 90s would have been to cool, I love Sabrina too and the witch that twitched her nose, can't remeber the name but I've watched that a few times. The old Mariah had my heart and yes to old school jams, new school simply does not measure up. And thank you. I still repeat The 90's were so littttt! I was practically a child then so I don't remeber much but I know we used to Watch The Bill Cosby Show at home, I watched Friends too though I didn't understand much and I also saw Family Matters a couple of times. Will Smith, Hilary Banks and Mrs.Banks (The one from Seasons 1-3) really inspired me as I just watched the Fresh Prince recently. I wish I could go back in time and steal Will's wardrobe. All those colorful vintage shirts, vibrant pants and overalls. Take me back please. For this look I'll rather wear a colorful vintage shirt and maybe sneakers. This was a great read Sarah. Lol I dont remember much too. And funny when I watched friends when I was older, it made more sense and then I realized its not really for children. Family matters was everything. And I actually can't remember Mrs Banks outfits, its been so long. And lol Will definitely rocked those vintage shirts and bold colours. Yes to going back.. And girl I've styled these mom jeans in that exact format before. Lol yeah I know the bra choker is old new. Thank you for stopping by, I appreciate your comment. I saw this blouse and it reminded me of the time I used to hoard my mum's net tops and style them as shoulder-dropping tops where my camisole straps would show. Their style was lit then! I'd wear some things now and my mom would just remember when she used to rock the same styles, I found a lot of beautiful pleated skirts in her wardrobe too! I think we have been bringing the 90s back and I'm loving all the styles I've been seeing too. Love how simple & comfortable this looks. Lol I remember those days, though mom and dad never allowed me to dress like that growing up. And lucky you, I never got anything style from my mom and dad seeing as they like to give away clothes all the time. I've been loving the styles too and I'm glad we're bringing back most of the 90s fashion trends. Thanks for stopping by girl. This is a great 90s tribute outfit. Yaasss to this outfit! You look so cool! The 90s were such a happy time (I suppose), colourful clothes and all. I spend most of my weekend watching reruns of Fresh Prince of Bel Air; Hilary Banks' style is still so fab lol. Thanks for sharing Sarah. Thank you for reading hun, I supposed the 90s were a happy time too. I loved Hilary's style too, perhaps its time to rewatch some episodes. I love how most 90's/Vintage styles are now in vogue! I'm not a 90's baby but I'll rock a pair mom jeans anyday lol, My favorite shows were kenan and kel, Family matters and Fresh prince bel Air.